Homeschool Laws: You Don’t Have to Be a Licensed Teacher to Homeschool Your Kids! 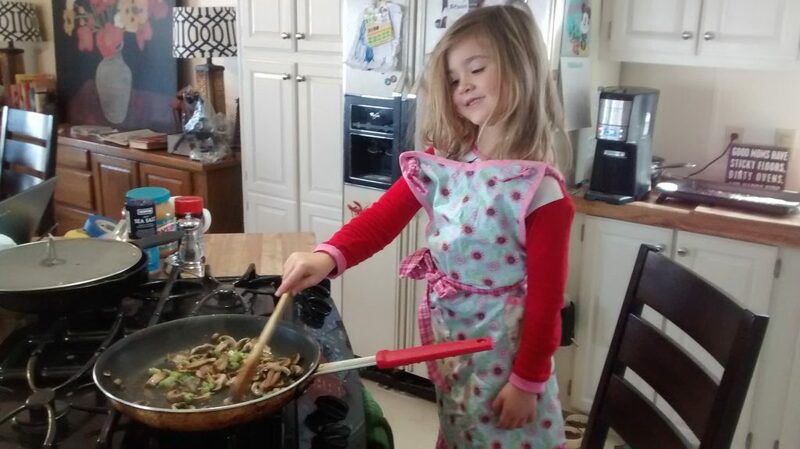 taking the unbeaten path into homeschooling and ketogenic living. Trust me, I was asking myself the same question last year! For some reason, many of us have bought into this notion that we need to be certified, licensed, and sealed with a government stamp of approval in order to be a qualified teacher. This couldn’t be any more far from the truth. Who taught your child to crawl? To Walk? To speak their first words? To speak full sentences? Who taught your child to draw a picture? To ride their bike? To say “please” and “thank you”? Who taught them about Christmas, and family, and how to turn on the TV themselves? I hope you are beginning to see the point I’m trying to make. Kids are learning all the time. There is no “off” switch! Since the day they were born, even before they were born, they have been learning. Children are born with a natural desire to learn. We don’t ever have to force a child to learn to talk, or learn to roll-over for the first time, do we? Do we have to have certified teachers come to our homes to show our kids how to accomplish these things? I know, it sounds rather ridiculous to put it in such a way, but just think about it! Kids learn because they don’t know any other way! They can’t help themselves! It’s how they were created to be! And who was there when they learned to talk, walk, ride their bike, or learn about grocery shopping?…..it was you. As a parent, no one is more invested, no one has your child’s best interest in mind, more than you do! No one knows your child, their strengths and weaknesses, their personalities, more than you! There is no degree, no license, no certification that will make someone more qualified than you to teach your child! The thought of homeschooling can conjure up a lot of doubts and fears in parents who haven’t done it before. I totally understand. But you cannot let your fears and doubts get in the way, because you will soon find that those thoughts were completely unwarranted! Teaching your child at home will become as second-nature to you as it was in their infant and toddler years. Is it always easy? No. Will you always have supernatural patience? No. But guess what, the “professionals” don’t either. Just the other day I was talking with two of my sisters at a family gathering. They were telling me stories of things teachers had done or said to their kids over the years in the public school system. Please know, the last thing I am trying to do is demonize teachers. I absolutely do no think they are horrible people, or that they don’t love teaching our kids. My point is, simply, they are people too. Imperfect. Capable of making bad choices. Even with a teaching degree attached to their names! Yes, they have specific education that qualifies to teach in a public school setting, but you are more than qualified to teach as your child’s parent! You have been teaching since the day you met your child for the first time! It is natural. It is your right! Keep in mind though, that homeschooling doesn’t mean your kids only interact with you as their teacher. Part of the richness that comes with homeschooling is that they can learn about life outside of the confines of public school. When you’re shopping, they are learning numbers in a real-life way. They are learning interacting with people they don’t know. You can take them to the zoo, the museum, church, the library, a farm, where they will be able to learn from other people who are out in the real world, living real lives. Not jammed in a classroom with twenty other kids working on math worksheets and reading about animals. 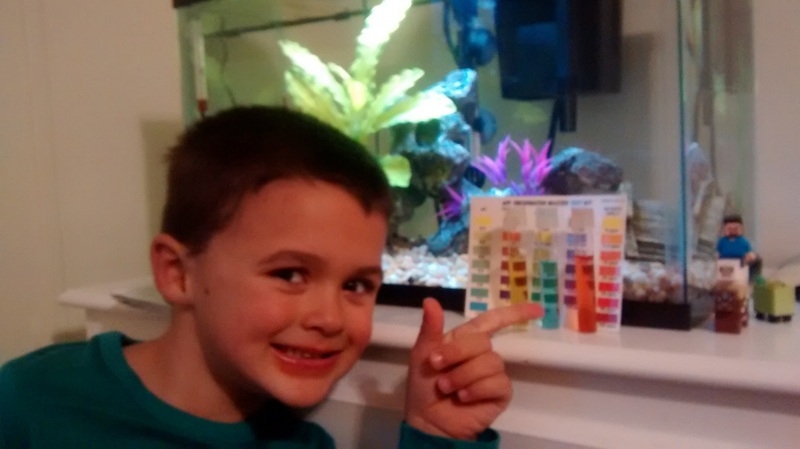 Learning in real life: Cycling a fish tank, the Nitrogen cycle, animal care, etc! This is natural learning at it’s finest! We were able to take a 2 week road trip in January when most kids are stuck in public school. 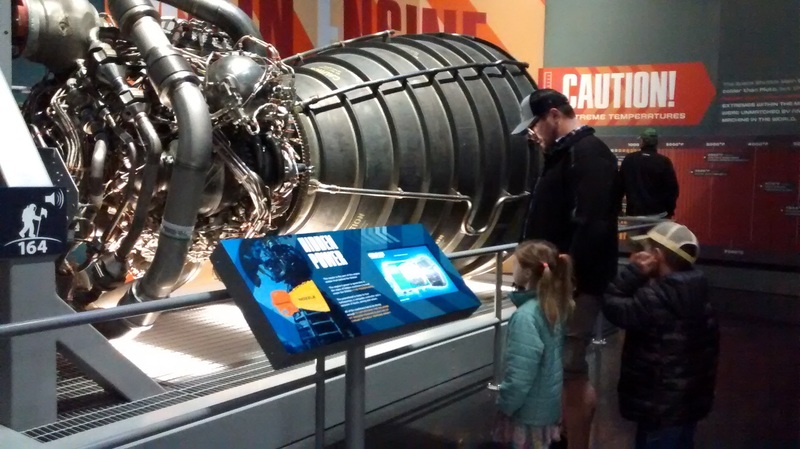 So many things learned and experienced: Kennedy Space Center, the Atlantic ocean, countless games on the drive, music genres, alligators, golfing, swimming. The list goes on and on! A night of having grandparents over for dinner is real-life learning: Meal planning, shopping lists, budgeting, setting a table, cooking, cleaning, table etiquette. Everyday experiences are full of real-life learning. You just have to look for the opportunities! I hope I have convinced you that you don’t need any special education to home school your child! Because you don’t! But, if you do want to read more, I highly suggest reading this Home School Legal Defense Association article. HSLDA is an amazing resource for you! This article lays it all out that the qualifications the government says are needed to teach a child successfully are nothing but a myth!I also highly recommend HSLDA for any other legal questions you may have about homeschooling. For the specific home school laws in your state, click here. Where I’m from, Minnesota, simply being the child’s parent qualifies me to be able to teach my child at home. I’m so glad I live in a state that gets it: There is no greater qualification to teach, than being a parent! There is no greater qualification to teach than by being a parent! There are three books I highly recommend that I read that convinced me that not only was public school not the best choice for my children, but I could teach them myself, and do it well! Please reach out to me if you need encouragement or direction in making the leap into homeschooling. Yes, it is a step of faith, but if I can do it, so can you! You don’t need a special degree or certificate. You just need to be you! Some of the links in the post above may be “affiliate links.” This means if you click on the link and purchase the item, I will receive an affiliate commission. Regardless, I only recommend products or services I use personally and believe will add value to my readers.